If you are sick or mentally drained, take the damn day off. (Yes, substitute plans are a hassle; no, the students will not learn as much as they should.) Take the day; you need it. Put your oxygen mask on, and you will be a better teacher, parent, spouse, and friend. Practice self-care. The Educator’s Room has many resources and conferences available. Teaching is a marathon, not a sprint. Open your door and teach. During a difficult time with the administration in my previous school, I was advised to close my door and focus on the students to avoid school politics. Although I tried to take that wisdom, it only led to feelings of alienation and bitterness. I felt like the adult drama was poisonous to my classroom. Furthermore, educators have obligations to defend their students’ best interest–sometimes we need to fight the good fight. So, I challenge my fellow teachers to open your doors, collaborate with your colleagues, take a stand when policies impact students negatively and make the best out of what is a broken system. Shake up your lessons. I heard my oldest daughter yell down the hall to her younger sister: “Hey, do want my sixth-grade materials? They will probably do the same things with you next year!” My younger daughter declined the offer, and I hoped that my students do not offer my materials to their siblings. I hope that my lessons are fresh and engaging. What is the fun in having the same school year every year? It would be like the movie Ground Hog’s Day, where Bill Murray repeats the same day–no thank you! Lead or join a professional book club. Two titles that engaged myself and my colleagues recently have been: Jeff Zwiers’ work: Academic Conversations: Classroom talk that fosters critical thinking and content understandings and Judith Hochman and Natalie Wexler’s The Writing Revolution: A Guide to Advancing Thinking Through Writing in All Subjects and Grades. We met weekly to discuss chapters and taught each other how we could implement best practices. I learned a great deal from the texts, but I also found greater respect for teachers of different disciplines. Professional book clubs are at the heart of the teaching craft. Make authentic connections. The teacher life is hectic. However, I challenge all of us to make our relationships stronger. Find ways to have conversations with your students, with the school staff and with your fellow teachers. Have coffee in the morning with people (I spend fifteen minutes most days with a group of women who keep me sane and make me giggle). Go to happy hour, even if you drink soda. Write/rewrite your educational philosophy and then live it. When I was a part-time adjunct professor at a local college, I asked undergraduate students to write their philosophy of teaching. Every semester that I taught that course, I rewrote my philosophy and then attempted to implement my ideas into my “day” job. Questions to consider: What is your philosophy on how students learn best? How will you know that learning has taken place; which tools will you use to measure student success? How do you define success? What is your ideal classroom environment (both the set-up and the relationship between teachers and students)? Mentor. Did you have a mentor? I know mine was invaluable. However, I have not taken a student teacher in years, like in over fifteen years. I found my experience with student teachers draining, and I am hesitant to repeat the task. So, if you are likeminded, maybe you push yourself out of your present comfort zone and invite a pre-service teacher into your classroom. Or, if a student teacher seems overwhelming, perhaps you check on that new teacher or that teacher who has recently returned from maternity leave. In any case, mentoring offers a chance for more experienced teachers to share methods and to learn new techniques as well. Advise or coach. Teaching has seasons. In my early twenties, let’s call it the Autumn of my career I was newly married and childless–I had plenty of time to advise clubs and student activities. I enjoyed that time in my job, but as I became a mom my energy level was more like winter time, as I had less ability to advise or coach. Now, I am in the spring of my career (which I like to call the last ten years before retirement). Last school year, I tentatively took on the role as advisor to my school’s Step Team. Wow, what a game changer advising has been! I am more connected to students, and I am seeing the benefits of student leadership and student-run productions. If you are in the “season” of your career where you have time, I highly encourage you to advise or coach–you will gain more than you will give. Follow great thinkers. There are many organizations and individuals who are discussing the teaching profession, instruction, and current issues in education. 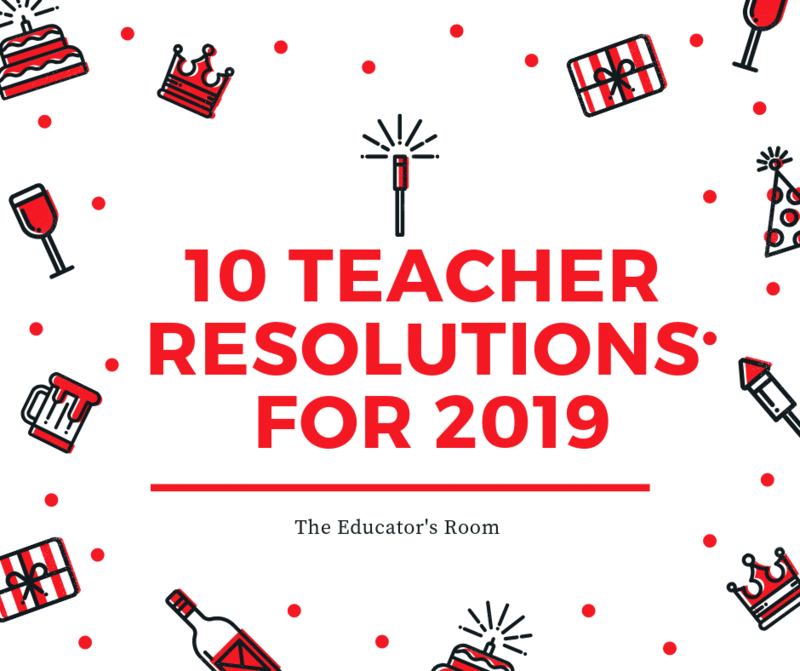 I highly encourage you to follow Fran Warren’s The Educator’s Room, Angela Watson’s The Cornerstone For Teachers, Jennifer Gonzalez’s Cult of Pedagogy, and Steven Singer’s Gladfly on The Wall blog. These four sites are my go-to resources, offering a range of perspectives, insights, and tools for educators.